The temperature is rising and while I love the longer warm days I can’t handle the weather on most days because it is so damn hot. I hate spending time getting ready to only end up end a pile of sweat and oil a hour later. Here are some must have vegan safe products from SPF to cosmetics that help me get through the days. SPF is important. I have pretty light olive tone skin and rather stay pale than burn. Most sun blocks for the face leave my oily skin super greasy and nasty. 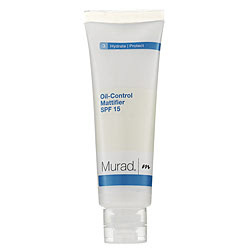 However I am a hugggeee fan and will only buy Murad Oil-Control Mattifer SPF 15 . When you put it on your skin feels less oily and almost velvety in seconds. 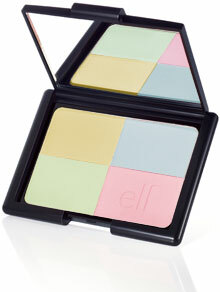 To keep my face shine free and looking fresh all day I really love E.L.F.’s Complexion Perfection powder. It evens out any redness in my face and makes the shine go away. At $3 it is a must have buy. To apply it I use a large synthetic fluffy brush. 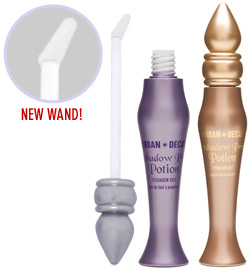 Too keep my black liner in place all day I turn to Urban Decay’s Eyeshadow Primer Potion. It makes my eye makeup not run down my face during a game of Frisbee. I am a fan of glossy lips but before I put on gloss I slick my lips down with Merry Hempster’s SPF 18 Lip Balm. Glossy lips attract sun and it is important to protect your lips with a SPF. Can’t forget the body. I use Eucerin Everyday Protection Body Lotion, UVA + UVB SPF 15 Protection. The formula works for my sensitive skin and has never left my itchy or red.